I have included within this survey wells associated with the term holy, saint’s names or religious institutions. (Often springs associated with churches can be added to this list, but one must be cautious as such arrangements can be coincidental. Wardie (2003) notes 12 such sites on his map, but none are explained. )To this are added those with healing traditions e.g. noted mineral, chalybeate and spa waters and those with folklore associations; petrifying, ebbing and flowing or possible pagan deity names. In general there is little folklore associated with water in the county. 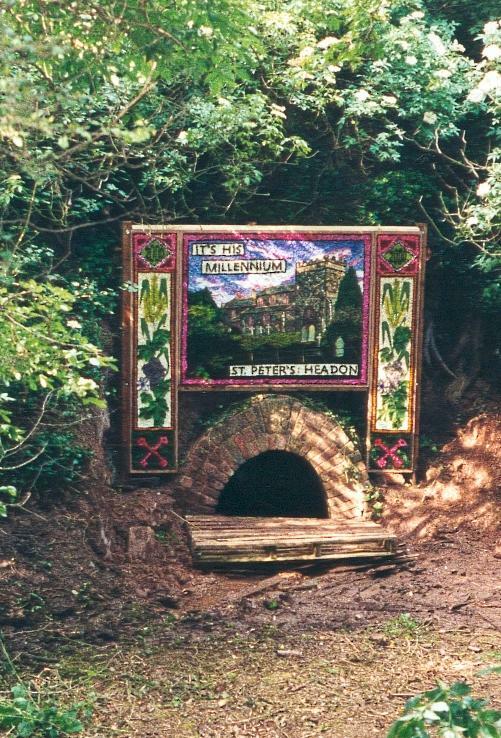 Thurgarton had a boggart which lived in the dumble (the source of whose booming voice was found to be a bittern), The Clifton family (at Clifton) had their harbinger fish, appearing at times of death (which was a sturgeon), Girton’s bottomless Horsepool and the Aegir, the most famed feature of the Trent, a tidal wave named after a Norse god. Interestingly, Nottingham appears to have few wells explicitly associated with rituals or folk customs unlike neighbouring Derbyshire or even Lincolnshire. There are only four rag wells, all in Nottingham and although well dressing has taken place in the county, this is a modern invention. In regards to those of category D, archaeologically speaking, many wells may have had an ancient pre-historic origin. Some in the county may have been Romano-British shrines, such as Kingshaugh and Newton. Similarly, it has been argued that sites named Hart’s Well and a number of wells with prefixes possibly deriving from Here O.E for ‘army’ are probably associated with tribal totems particularly of Danish use (although Morrell (1988) does note that Harwell is near the Roman road to Segontium), as is a site called Norsput. Sadly, it should be stressed that the general lack in archaeological interest in such sites, such claims cannot be ascertained. The range of dedications is much more limited than surrounding counties, particularly Yorkshire, most being called simply Holy wells (10 confirmed sites, 20 possible sites), and those with names are restricted to presumably foreign or biblical saints: St. Mary (or rather Lady Wells) (9 with an extra 3 possible), (not including Orange’s (1840) Lady’s Bath as a possible origin of Lady Bay and a possible Lady Well at Egmanton, said by the Reverend Levy to have been associated with the vision of Our Lady to a local women at the edge of Ladywood. However, correspondence to long time residents in the parish has not revealed knowledge of the site nor has the Nottinghamshire record office. Interestingly, the suggested site does have oil wells which may suggest that the vision was due to a Willo the wisp! ), St. Ann’s Well (2), St. Helen (1/2), St. Catherine’s (2) and St. John (2). With a possible St. Lawrence dedication, Jacob Well, Lord’s Well and others hidden in place name changes, to add to the list. There does not appear to be any local dedications or native saints. Class A wells thus totalling a confirmed 38 (unconfirmed total of 48). Of Class B there are four associated with crosses, but none with churches. There are thirteen Spas or mineral springs and 18 with varied names but healing traditions (Class C), 9 (Class D) and 5 (Class E) although there are a number in the inventory. 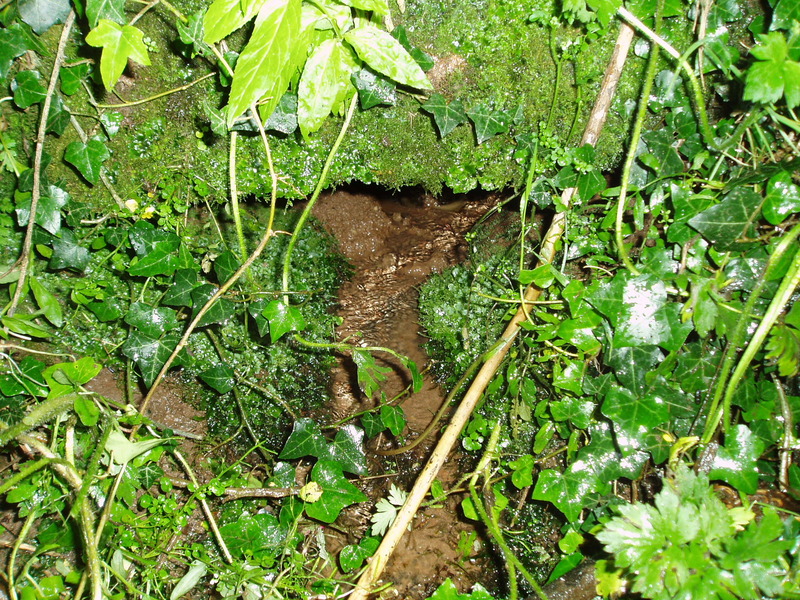 Harte (2008) argues that many holy well sites; in particular St. Catherine’s Well are spurious modern sites, due to the lack of earlier evidence. However, one must be careful here as absence of evidence is not evidence of absence; much of what we know of medieval England could be considered fragmentary due to the purges of documents during the Reformation and Commonwealth. Where it may be necessary to err on the safe side it is just as probable (if unlikely) that a site remains unknown to antiquarians or past historians until recent times retained in generations of local knowledge. (Indeed as many communities lose this tradition it is more important to record sites). The reasons for this are unclear, but it maybe the affect of the Reformation and like in other counties can we assume many of these old holy wells were re-discovered as mineral springs and established as spas? 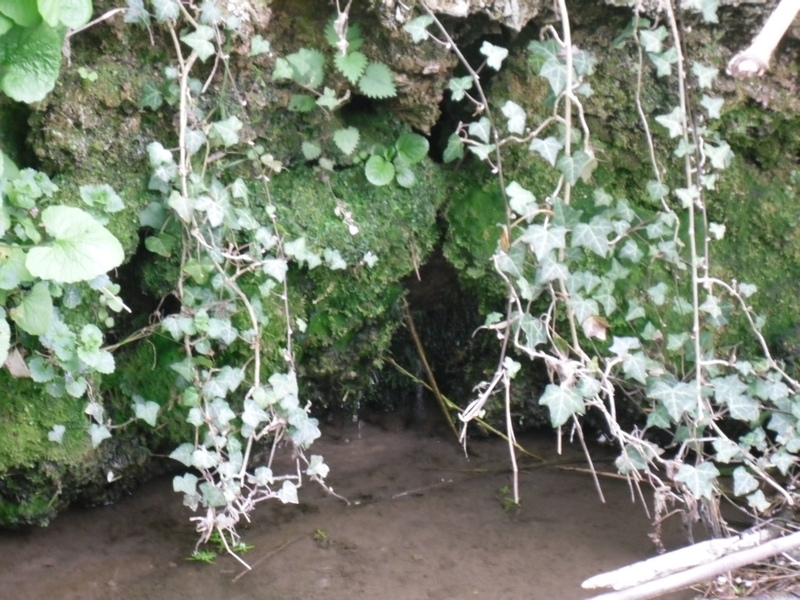 Harte (2008) argues against this convincingly, but there are at least two sites which may have existed previously as holy wells; Clarborough and Westthorpe, Southwell. Although one could argue that these may have had a back developed origin as details are scant. Another possible example is Retford’s Spa, although its pre-Spa history may be confusion with St. John’s Well at Clarborough. Nottinghamshire does not appear to have developed a major spa like neighbouring Derbyshire, or even Lincolnshire. Spa names are applied to eight sites. Interesting, it would appear that using spa was a local word meaning medicinal waters however parochial in nature. Indeed, the term was apparently still being used in the early 20th century in Langold. (One must be careful as there is a Spa Lane in Sutton in Ashfield but this is close to Leamington Street so is unlikely to preserve a site name.) There are others which are mineral waters having apparently never being formally named but appear to have been exploited……. 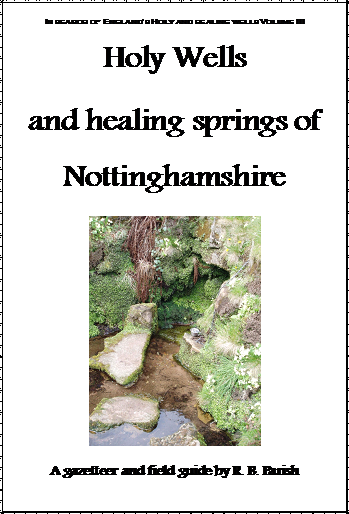 Posted on October 2, 2011, in Gazatteer, Nottinghamshire, Well hunting and tagged archeology, earth mysteries, Geology, Ghosts, healing wells, Hermitage, Holy well blog, holy wells, Holy wells blog, Holywell blog, legends, Local history, mineral springs, Nottinghamshire, spas, spas blog. Bookmark the permalink. 1 Comment.